How Can Your Mattress Help You Fight Back Pain? Back pain is often due to an overused mattress or just the wrong type of mattress. Back pain often causes sleepless nights. It can also lead to a bad sitting and standing posture depending on your sleeping position. Moreover, with the right kind of mattress, you can achieve a lot more than a restful night. You can prolong your health life by sleeping well and waking up even better, no matter your sleeping posture. The right kind of mattress for back pain should be able to balance between comfort and back support. This is because a mattress that is too firm can cause pain on your pressure points. While one that is too soft can easily conform to your body to the point of distorting its proper alignment, which often hurts. You can always do a sleep test to determine if the mattress will help you with back pain. Nevertheless, a medium-firm mattress often works for most. Besides, you should be well acquainted with the materials or construction of the mattress. Memory foam mattresses often work best for back pain or any sleep discomfort as they provide lumbar support, keeping the spine aligned with the neck. Given that you spend loads of time sleeping, it is only wise to invest in a quality mattress for back pain. As it will determine how well you live and function for the rest of your life. How Can Mattresses Help With Bad Back? A quality mattress can really change the way you sleep and carry yourself on a daily basis. It can relieve your back from any stress caused by bad sleeping position, as it will limit constant tosses and turns. Even so, it will make you feel as if you are in the clouds, even with your partner next to you. Moreover, it can also help with proper alignment of the spine as well as the neck and shoulder area. This often reduces your chances of getting migraines every now and then. It also reduces your chances of experiencing shoulder and neck pain, which can really affect the rest of your body, especially the upper part. Besides, such mattresses should be in a position to provide the needed comfort as well as back support. It should not be too firm or too soft. You can always opt for medium-firm ones made from memory foam or coil springs. However, memory foam mattresses often work best for anyone regardless of their sleeping position. They also last for years, ten tops depending on the brand. 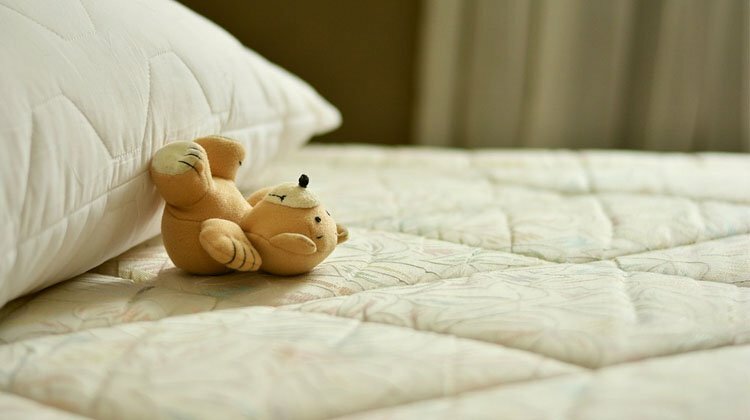 When it comes to purchasing mattresses for back pain, you should try to invest in quality mattresses guaranteed to aid you with back pain issues. Here are a few tips you can use to determine if the mattress will actually help you with back pain. Conclusively, mattresses often determine how well you sleep as well as wake-up. The better it is the better your night will be. You can always rely on any good mattress to adapt to your body shape no matter the position you opt to sleep in. Moreover, you should always try to replace mattresses the point they start being uncomfortable or after every eight years. Ideally, you should know when you need a new one. In addition, try to go for quality regardless of the price, as it will determine your overall health now and in the future. Mattresses are as important as any other furniture in your home. So, invest wisely especially if you have issues with your back. As such, pain have a way of lingering and becoming chronic, thus leading to other ailments as you age.